Having bright and healthy facial skin is certainly everyone's dream. Not only women, men also have to start caring for their facial skin because of course everyone is handsome and beautiful with shiny facial skin. But acne always prevent us from looking beautiful. Condition of the face that is filled with acne scars is certainly very uncomfortable, as a result makes you not confident in appearing in front of many people. Even though a healthy face will be easier when using makeup or other facial makeup. Healthy facial skin will certainly make it easier to apply make up so that it looks more natural and clean facial skin also makes our appearance look always fresh. 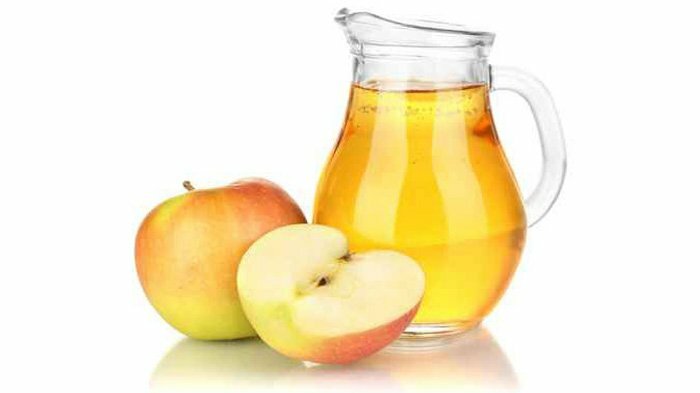 The benefits of apple cider vinegar for the face can reduce black spots due to signs of premature aging. Then apple cider vinegar is useful for removing acne scars on the face. How to use: just wash your face with a mixture of water and apple cider vinegar or rub it on the face with black spots. Other benefits of apple cider vinegar besides preventing acne can also cure acne. This is because apple cider can restore the skin's natural pH and can overcome excess facial oil which is one of the causes of acne. Mix 1 tablespoon of apple vinegar with 2 tablespoons of water. Dip the cotton ball into the solution. Rub on the part of the face affected by acne. If you have an oily face, use apple vinegar to overcome it. Mix one tablespoon of apple vinegar with half a glass of water. apply using a cotton ball. Then wash with cold water. For sensitive skin, just add the water. Washing your face with a solution of water mixed with apple cider vinegar can reduce wrinkles and fine lines. For those of you who like nature tours or other outdoor activities such as climbing mountains, you must have felt facial skin flaking and redness due to sunburn. Mix 1 tablespoon of apple vinegar and 1 tablespoon of water then gently rub on the face, doing so until the burns improve. That was five benefits of apple vinegar that you can use to treat facial skin. There are many more hidden benefits of apple cider vinegar. So instead of trying out products from chemicals that aren't necessarily suitable for you, it doesn't hurt to start from natural ingredients. 0 Response to "5 Great Benefits of Apple Cider Vinegar to Cure Acne"